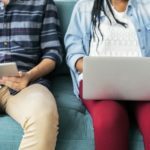 Accurate information about enrollments in credit-bearing courses at Vanderbilt is important for a variety of administrative functions, including financial aid, transcripting, and compliance. The central repository of such information on campus is the student information system (SIS) overseen by the Office of the University Registrar. (Most students and faculty know the SIS through its campus-facing interface, YES.) 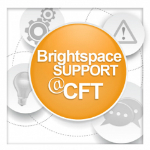 Brightspace course enrollments, including student enrollments and instructor and teaching assistant assignments, are updated several times daily from feeds from the SIS. The following policies regarding course enrollments are intended to maintain the accuracy of enrollment information in the SIS. Please note that these policies apply only to Brightspace courses generated by SIS integration, that is, courses on Brightspace that reflect the credit-bearing courses seen on YES. An individual with the “instructor” role in a Brightspace course can add other individuals with Brightspace accounts who are marked as “instructors” by the SIS integration, by contacting Brightspace support (brightspace@vanderbilt.edu, 615-322-0200) for assistance. Also note that if a course has an official co-instructor not reflected on YES, this should be brought to the Registrar’s attention. 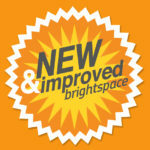 Instructors cannot add students to their courses on Brightspace. Instructors who wish to give access to their Brightspace course to an officially enrolled or auditing student should submit a request to academicscheduling@vanderbilt.edu where the request will be handled by the University Registrar. Depending on the situation, students may also be added as an unofficial “guest” to the course by contacting Brightspace support (brightspace@vanderbilt.edu, 615-322-0200) for assistance. Teaching assistants (TAs) will be handled similarly to student enrollments given the need to maintain accurate TA information in the SIS. An instructor cannot add an undergraduate student, graduate student, or staff member as a teaching assistant in their Brightspace course. Instructors who wish to do so should submit a request through this online web form (https://registrar.vanderbilt.edu/secure/ta/index.php). In some schools, associate deans with Brightspace administrative privileges can field requests for adding students or TAs to individual courses. These associate deans will work out appropriate procedures for doing so in consultation with the Center for Teaching and the University Registrar. Please note that for Brightspace courses not generated by the SIS integration (for instance, non-credit courses like the teaching certificate seminars offered by the Center for Teaching, or ad hoc “courses” set up to support research lab groups), an individual with an “instructor” role in such a course can add anyone with a Brightspace account to any role within that course. In these cases, information about these “courses” is not maintained in the SIS, and so enrollments in Brightspace are not subject to any limitations. Policy approved by the Brightspace Advisory Committee spring 2017. Page updated August 24, 2017. Updated to reflect change in procedure by Stacey M Johnson on September 5, 2018.